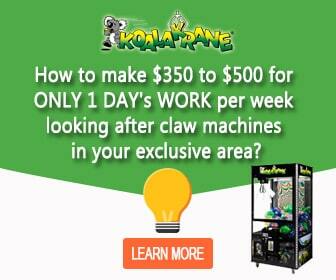 HomeCandy Crush is Coming to Koalakrane Machines! Experience a sugar rush like never before when you snag one of these brand new Candy Crush plush toy prizes from a Koalakrane claw machines! The cute and cuddly characters of the hit mobile game, Candy Crush, are filling Koalakrane machines near you! Available in 5 unique characters, these officially licensed soft dolls are the next big thing to win and collect. Take the fun from crushing combos on your mobile phones to beating a skill tester and winning a snuggly plush toy! With their delightful design closely inspired by the mobile game’s characters, the Candy Crush plush toys are sure to catch your attention. Don’t miss out on this tasty treat. 5 Candy Crush characters to collect —Kimmy, Marshmallow Yeti, Bubble Gum Troll, Bat, and Strawberry Crab—when you play Koalakrane!